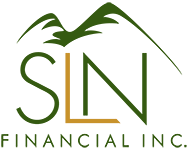 July 6, 2016 - Don’t Leave Your Spouse in the Dark About Money | SLN Financial, Inc. Does my spouse know how to access all accounts and documents? We strongly recommend that both members of a couple (and possibly a trusted child or relative) know where you keep all documents and are able to access financial accounts. In the event of a death or health emergency, fast access can be critical to ensuring your family has what it needs to get through the crisis. Financial account details, life insurance policies, health directives, wills and powers of attorney are all critical documents that may be needed at short notice. Make sure you keep them in a secure place such as a fireproof safe bolted to the floor in your house. Safe-deposit boxes at banks can be hard to access during non-business hours or by someone who is not on the account documents. Is my spouse prepared to take over the finances if something happens to me? One of the biggest reasons to involve your spouse in the family finances is to prepare him or her for a future without you. If something were to happen to you, your spouse might be unprepared to manage financial responsibilities. The easiest way to help your spouse prepare to take over is to involve him or her in major decisions and hold regular family meetings to talk about finances. Though your spouse may not want or need to know the nitty-gritty details of every aspect of your financial life, make sure he or she knows the basics about budgeting, investing, insurance and money management. Does my spouse know our financial professional? If you usually visit your financial professional alone or mostly communicate over the phone, it’s possible that your spouse doesn’t really know what we do. Bring your spouse to meetings and make sure that he or she feels comfortable asking questions and contacting us in need. We have helped many “non-financial” spouses better understand the family’s finances and would be happy to be of service to your family.